How the mighty have fallen. The Adeptus Astartes are anything but the feared elite on the tabletop. Here’s how they can rise again. I think we can all agree that Space Marines aren’t the shining sons of Warhammer 40,000 any more. What were once the elite and highly feared super soldiers of the Imperium are now just another meh choice out there. 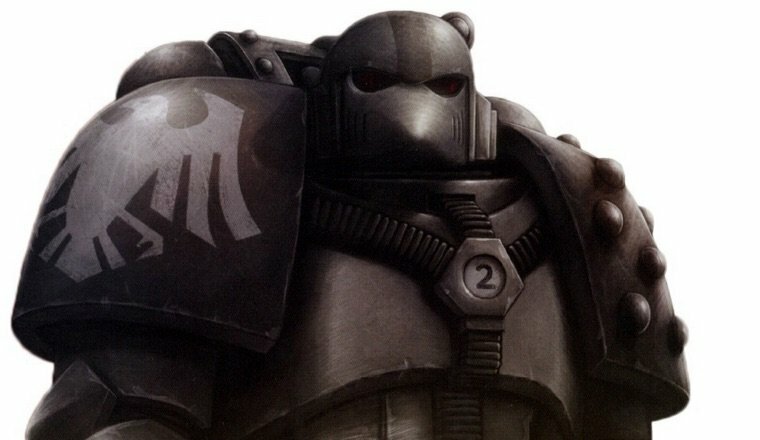 With the existence of Grey Knights (elite marines), Deathwatch (more elite Marines), and Custodes (UBER elite quasi-marines), the Astartes are just glorified Guardsmen at this point. There are a many steps on the ladder of effectiveness above them for Imperial players. 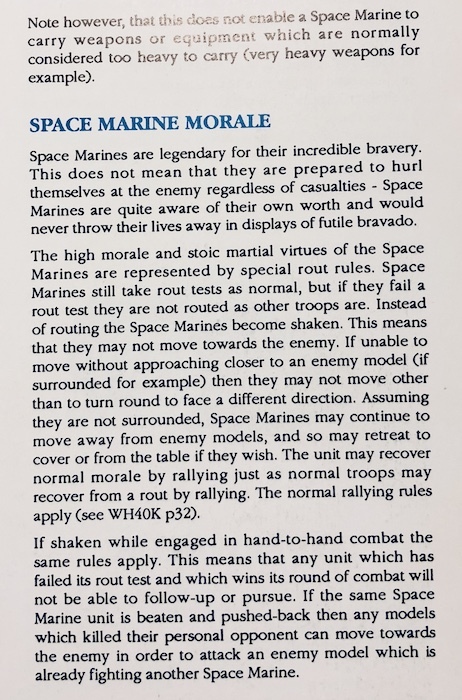 But that is not in any way how Marines are designed to function in the background of the game, nor how they have operated for decades on the tabletop. 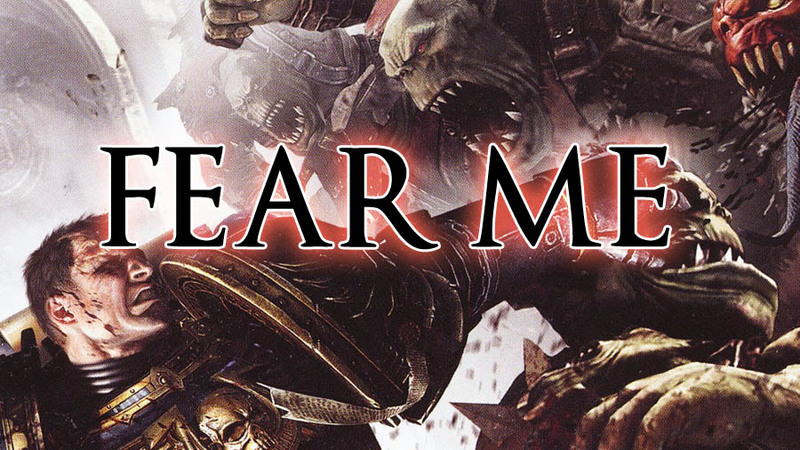 When you read Black Library or any of the codexes, you quickly find out that Space Marines aren’t just effective on the battlefield, they are HIGHLY FEARED by almost everyone. Heck, Eldar Craftworlds have successfully been invaded and destroyed by Marine Chapters. That’s a pretty serious threat if you ask me. 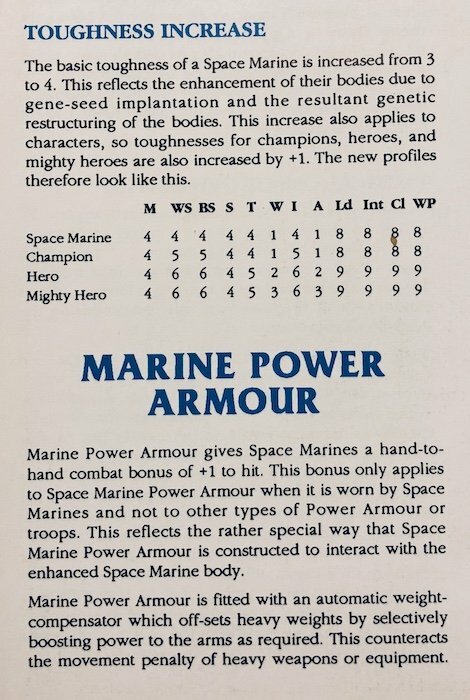 On the tabletop, Marines used to have very heavy armor and survivability in past editions, which has been removed by the saving throw modifier system of 8th. 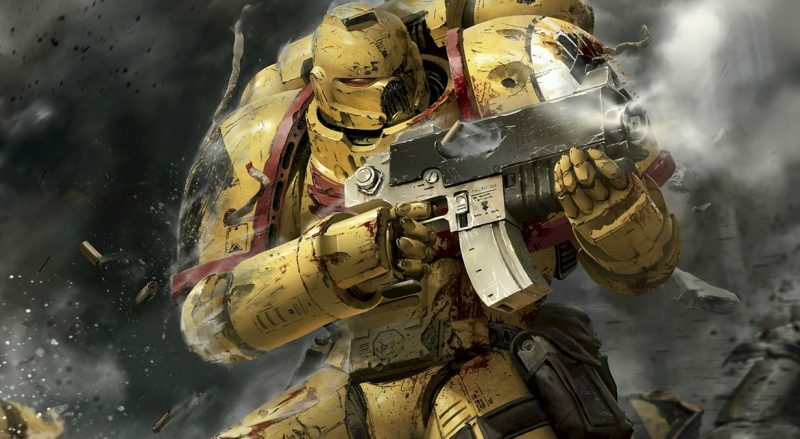 Their high toughness isn’t as good now, and really no one is quaking in their boots about the ultimate in Imperial terror-shock weapons – the Holy Bolter. Toughness 3 – Read it and weep. THAT is the origin of T4 and 3+ armor by the way. You learn something every day! So I propose that something should be done to restore the natural place and FEAR that Marines should have. As with other thought experiments we have to constrain this to something realistic. There are too many marine units and codexes out there, so complex adjustments of rules or points that would invalidate lots of books is out of the question. Instead I propose a set of special rules that are tied to <KEYWORDS>. This would keep things clean, be easily addeed to the next BIG FAQ or Chapter approved. Here’s a set of proposals. The goals of these two-fold. 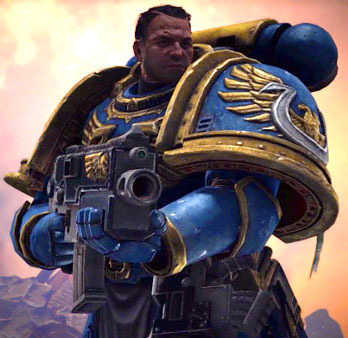 On the one hand Index Astartes is designed as a general purpose buff to makes Marines more efficient at using their existing shooting and close combat weapons, while increasing their durability via saving throws. I think it’s an elegant solution that works across the board reflecting their superb training and equipment quality. The Holy Bolter rule is designed to act as a general buff to the entire bolter family (all of them) when used by marines. Its goal is to give marines a terror aspect reflecting the loud and purposely grisly method thier weapons inflict damage. It gives them a unique, different flavor than other weapons such as the Shuriken family. 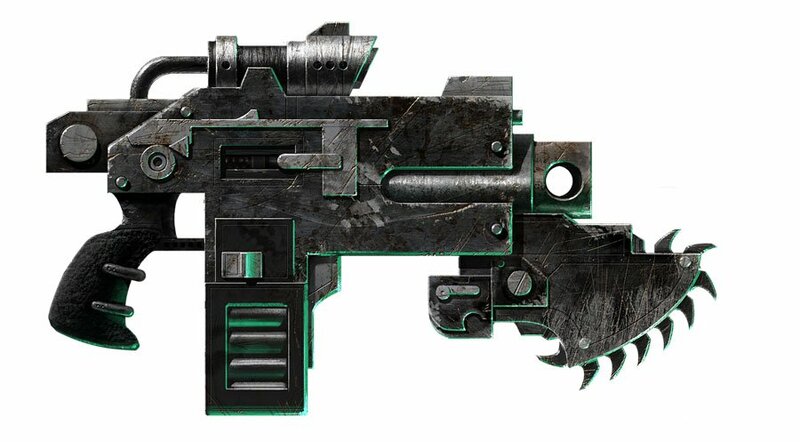 Note that whether all Astartes Bolters should get a -1 AP is hotly debated, but I think it may be too much.